Last Sunday, Rollins College’s Indian cultural student organization, ‘Desi’ hosted their annual campus Holi celebration on the lawn of the campus’ Olin Library. The colorful Hindu festival is celebrated throughout the world by people throwing brightly colored power at one another and spraying each other with colored water to celebrate the rejuvenation of nature with the arrival of spring, the victory of good over evil and peaceful coexistence. Clouds of colored powder enveloping an energetic painted crowd of Tars, including staff, students and their families, created a vibrant display, attracting intrigued students venturing to the library. Holi, also known as Phagwa, is a Hindu festival celebrated mainly in India and Nepal, as well as throughout the world, brought by members of the Indian diaspora. It is observed on the full moon day in the month of Phalgun according to the Hindu calendar, usually between late February and late March to mark the beginning of spring. Holi celebrations were held throughout the world on March 13th this year. The throwing of colored power (abeer) and water represents the advent of color accompanied by a prosperous spring season. Many stories from Hindu texts explain a far deeper significance of the occasion. One story, tells of a king who commands his subjects to worship him, but becomes enraged when his son refuses, instead devoting himself to the worship of the Hindu God, Lord Naarayana. The king enlists his sister Holika to help kill his son by burning him in a fire, but the lord saves him and Holika is burned instead. 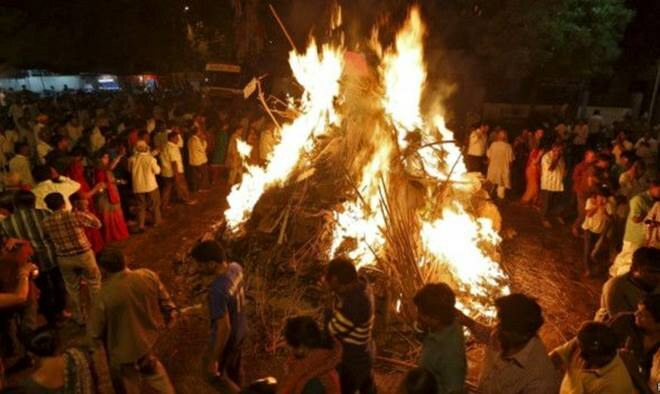 Many observe Holika Dahan, the day before the colorful festivities, by lighting bonfires to enact the burning of Holika to signify the destruction of evil and the victory of good. Another story from Hindu mythology depicts Holi as a celebration of the death of the demon Pootna who nearly killed Lord Krishna when he was a child. Pootna is said to signify winter and darkness. Yet another story involves the love of Krishna and Radha. Many who play in Holi do not fully understand its religious and cultural significance, but nevertheless these events are welcome to all. Inclusion of all categories of people is an important tradition. In most parts of India, people of all castes and social strata participate together. 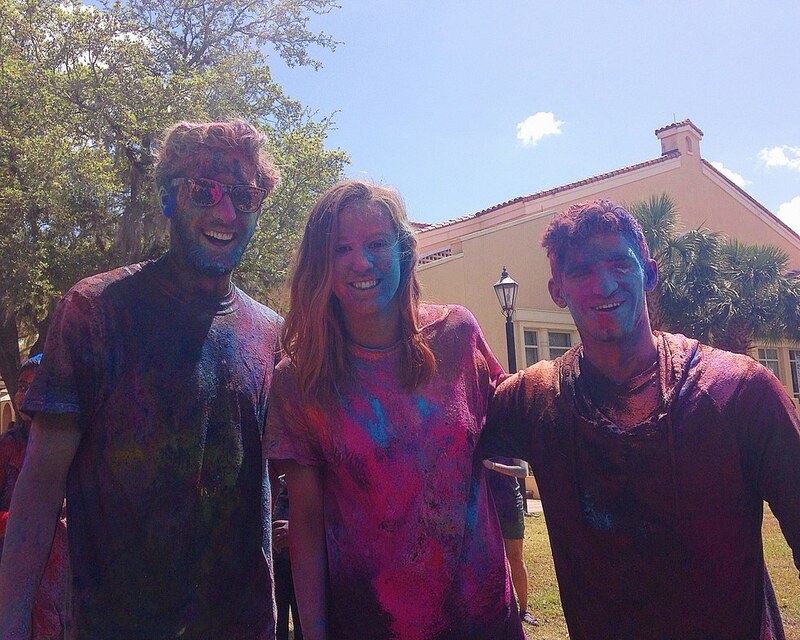 The Rollins College event titled 'Holi with Tars' was well attended by members of the Rollins community. Desi provided colored power, buckets of colored water and (originally) white T-shirts, along with festive Indian music and light refreshments provided by Mynt Indian Cuisine after the main celebration.